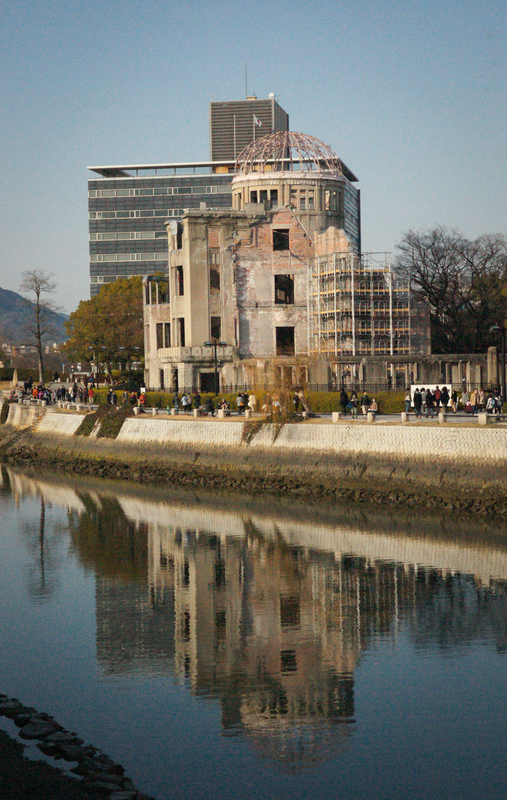 As far as my blog posts go, writing about my visit to Hiroshima will probably be a bit of a ‘downer’, and rightfully so. It’s not the kind of place that warrants jokes…it’s a ‘serious’ place. I would hope that anyone reading this would know why Hiroshima is a ‘serious’ place and deserving of respect. 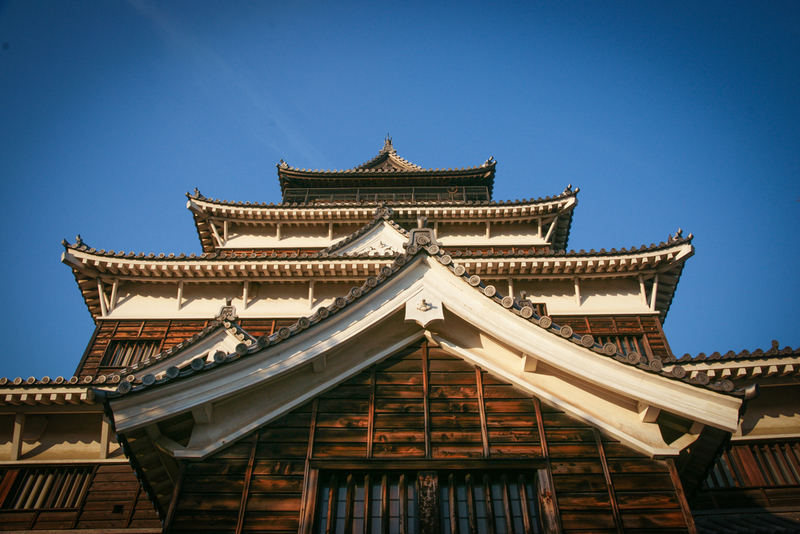 It was this city where the US dropped the world’s first atomic bomb on August 6, 1945. So as you can hopefully imagine, I felt not just obligated to visit the Hiroshima Peace Memorial Museum, but uncomfortable doing so as well. It is a brutally honest representation of the damage and destruction of the city and it’s people. Exhibits containing items like the burnt clothes of school children, their melted lunch pails, and photos of the leveled buildings and burn victims. The museum is important to keep the world from forgetting how horrible the whole event and the events surrounding it were. Because the bombing took place 70 years ago, the number of survivors who can tell their first hand knowledge about the event is dwindling. For everyone else, what we know about Hiroshima is only what is taught in history classes, seen in movies, or read about in books. Some of the exhibits were shockingly graphic, which was all the more disturbing knowing that they depicted real world events. Over 140,000 people died from the bombing, and the city was practically leveled. One of the only remaining signs of the destruction is the Atomic Dome. 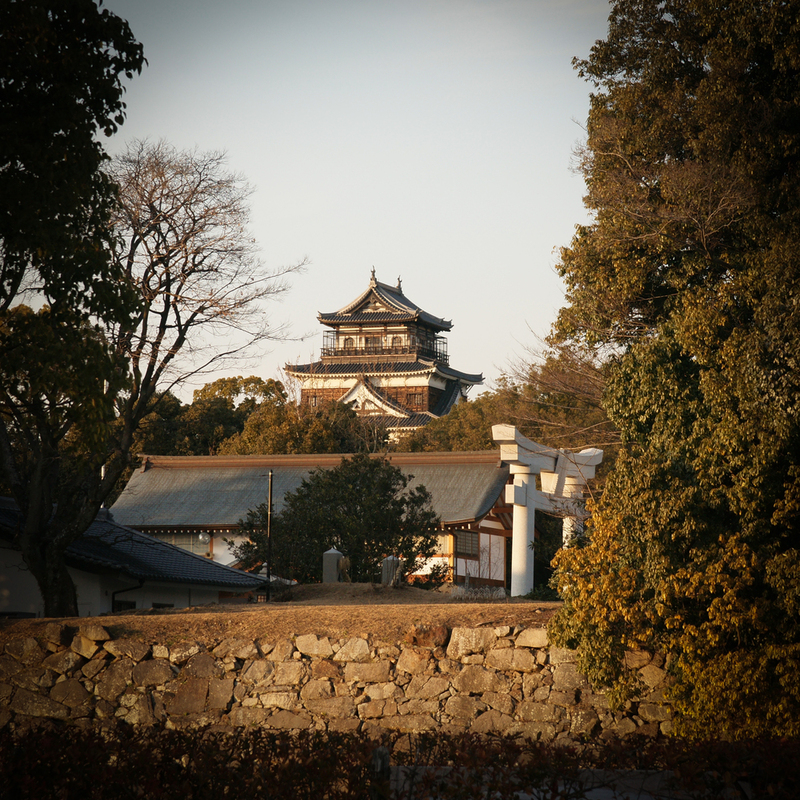 It has been dedicated as a UNESCO World Heritage Site and is a reminder to the world of the horrors of atomic weapons. Now it is a symbol for everlasting world peace and the abolishment of nuclear weaponry. Behind the museum is the Peace Park which has many monuments—each dedicated to different things. There is the Monument for the A-bomb Victims, the Monument for the Korean Victims, there is an Eternal Flame of Peace, a Memorial for Students, a Clock Tower for Peace, and a Children’s Peace Memorial. This children’s memorial is for the thousands of child victims and is dedicated to Sadako Sasaki. She was a young girl who died from leukemia as a result of the radiation from the bomb. There is a Japanese legend that says that if you fold 1,000 paper cranes, you will be granted a wish. Sadako folded paper cranes in the hospital in hopes of being granted her wish to be healthy again, and to this day people bring strings of paper cranes to this monument in her honor. 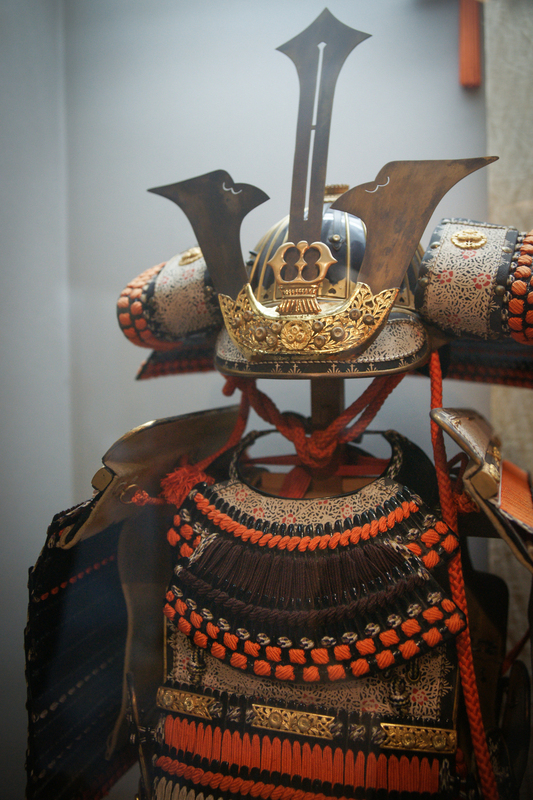 Aside from the Peace Museum and the memorials, there is more to see and do in Hiroshima. 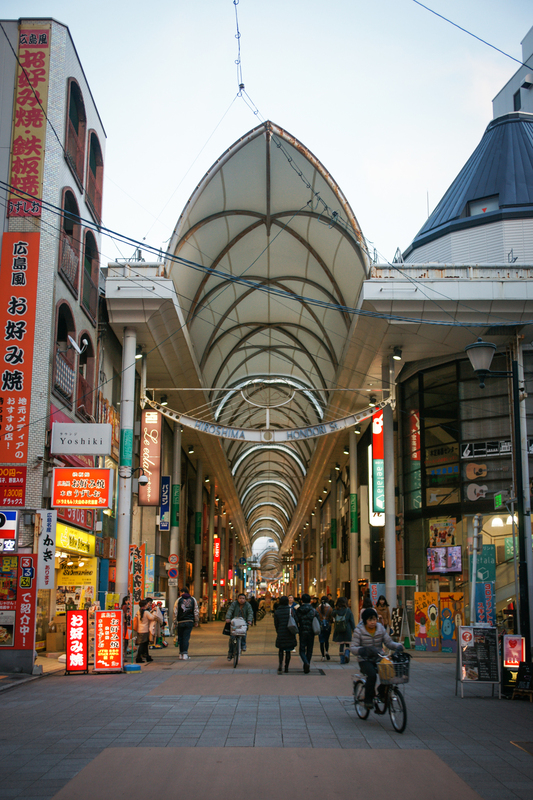 There is Handori Street which is a covered pedestrian shopping area that stretches for blocks. There you can find a shop for any and everything as well as restaurants serving whatever type of food you desire. One of the famous dishes of Hiroshima is okonomiyaki. It is like a cross between an omelet and a pancake. Typically they are made with such ingredients as cabbage, sprouts, pork, and squid. 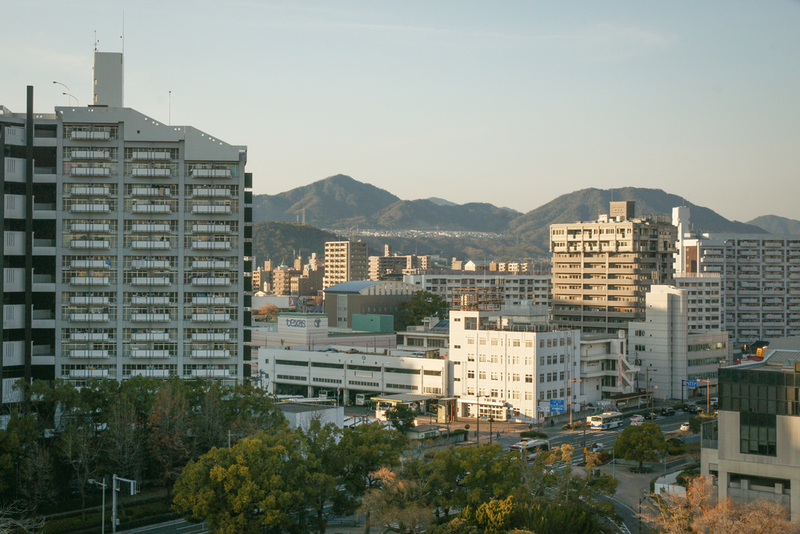 The version Hiroshima is most known for also includes noodles. 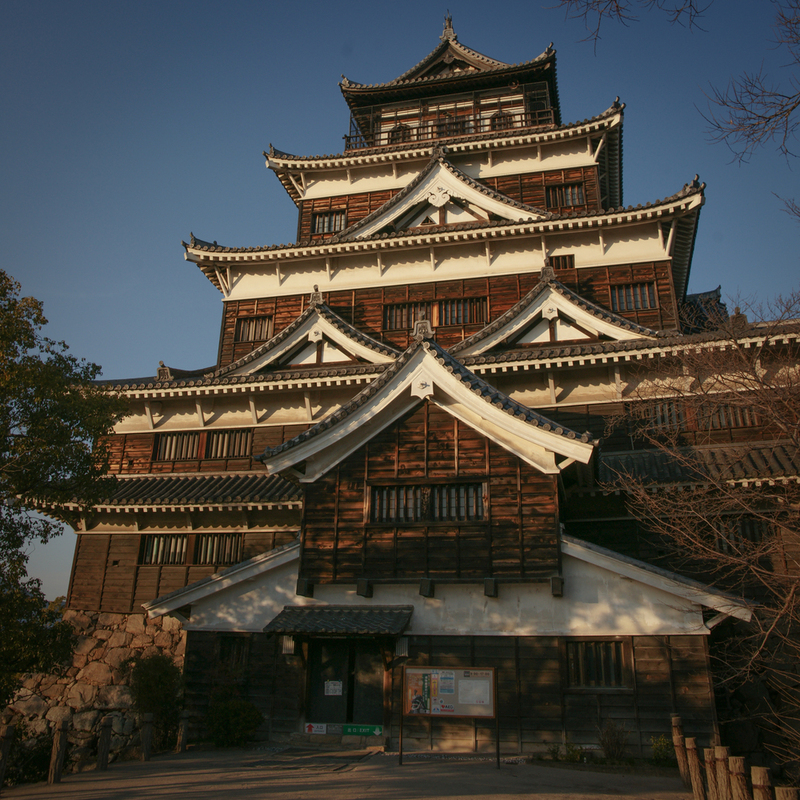 Another popular tourist destination is the Hiroshima Castle. Obviously it is has been rebuilt since the original was destroyed in the bombing, but it has been reconstructed and now serves as a museum. It is five stories high and on the very top is an observation level. 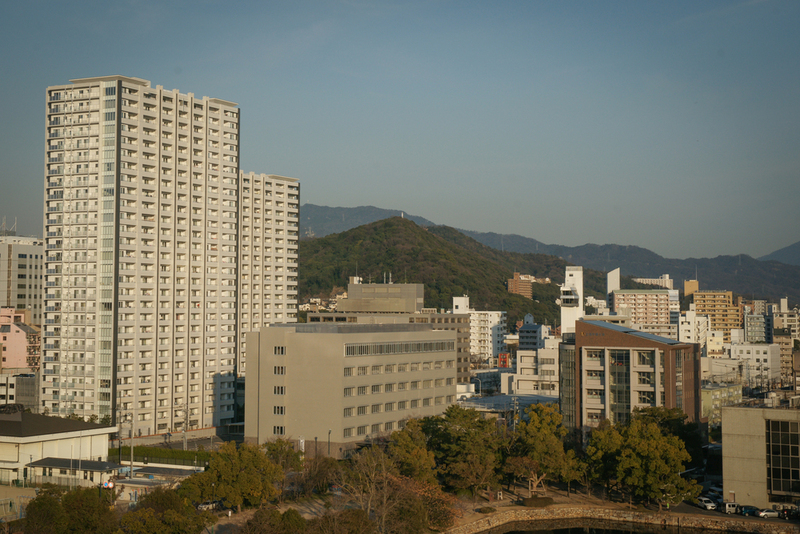 From there you can see a sweeping view of much of Hiroshima. 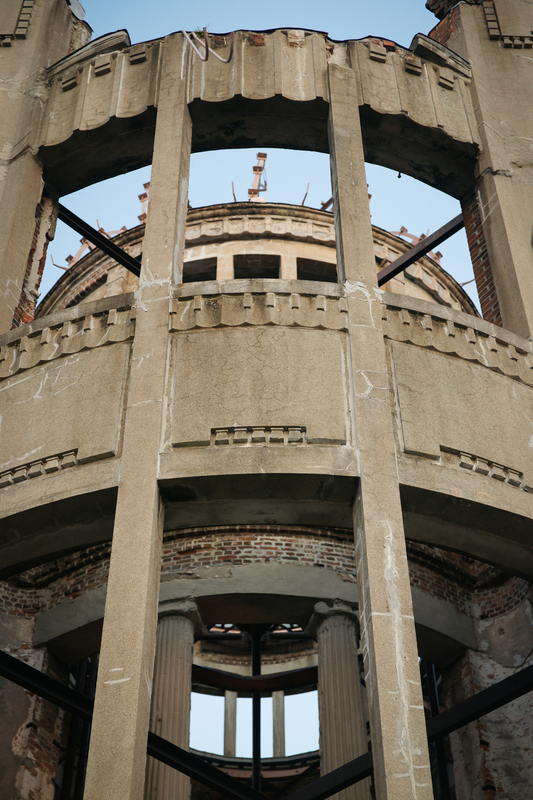 As I stood there at the top of the castle looking around, I was hit with the realization that everything I was looking at (with the exception of the Atomic Dome) was “new”. This entire city, as big as it is, has all been built within the past 70 years. I think that is pretty impressive, and I hope this city is remembered for that as well, its resiliency. My cup runneth over...with Noodles!